Gentleness is the coming together, not the coming a part of things. 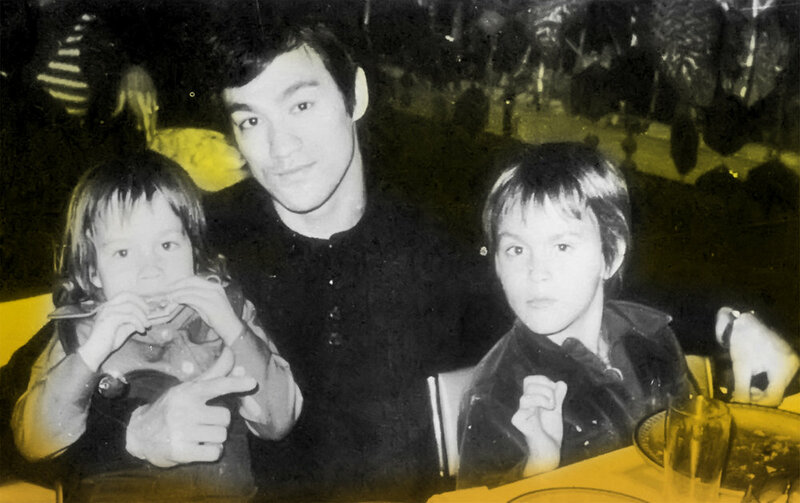 Bruce Lee personally struggled with having a temper, but he researched his own experience. He was able to be neutral about examining himself and recognized that he needed to cultivate his gentleness. It takes a lot of time and practice to forge a new path for how you react to situations. In order to have peace of mind, you have to be able to be in relationship with quietness, with that emptiness from which all things spring. The notion of the yin principle being related to life, survival, and pliability, Bruce applied to his martial arts but also to his life. Gentleness does not mean complacency, or doing nothing—it’s the root of survival. It is important to not put up a façade. We all have in us a desire for peace and contentedness, we all have in us a certain amount of gentleness, but taking a stance saying, “I have to be this way,” is not being natural to who you are. True leadership is seen in authenticity. When people see someone who is being real, present, and being themselves, allowing vulnerability as well as strength, we are drawn to it. Being in the flow and being yourself no matter where you are is authenticity. First we need to make peace with the gentleness within ourselves and be okay with it. Then, we can recognize the value of gentleness in others. Humility is a type of gentleness and it is the basis of having honor. There’s always action, always things happening, but if we can remember our gentleness then we can be more content. To have stability and know that you are moving forward, you need to cultivate both sides of yin yang. Recognize patience, this is not about letting people walk all over you. It is about not being reactive, or freaking out. To have discipline is to have patience, is to have endurance, and is to keep moving one step at a time. You can think of gentleness as the pause to help you take a moment before reacting with anger or with negativity to a situation. It takes strength to have gentleness in a situation. Let the idea that gentleness as strength absorb into you. It takes much more strength to lift something slowly. How can you re-envision gentleness as strength? Where can you “allow" instead of force? How can you practice hitting the pause button? Practice hitting the pause button this week instead of reacting with anger, impatience or negativity. “Hello Shannon and Sharon, I love your podcast. I want to share how Bruce Lee's philosophy affected my career in cybersecurity. In 2000 I was an officer in an Air Force cybersecurity unit. The previous year my wife and I enjoyed a three-week honeymoon in China, and I was a practicing martial artist. A top-tier book publisher saw me speak at a conference and asked if I would write a book on detecting and stopping hackers. I considered this a once-in-a-lifetime opportunity, but I declined. I distinctly remember saying that I wasn't ready to write a book yet. I did not feel that I was prepared to authentically express myself in written form. I spent several years refining my thoughts, and in 2003 I sent a detailed outline to the publisher. They accepted it, and in 2004 "The Tao of Network Security Monitoring" arrived in book stores. I named it after Bruce Lee's most famous book because I felt that I was expressing myself through my philosophy and practice of network defense. My first book was 832 pages, and I wrote a 416-page sequel the following year because I still had more to say about the topic. The first book featured a praying mantis on the cover, and the second showed a tiger. I selected these to represent two of the five animals of kung fu. I've written and contributed to other books since then, but my first book is the one people most often ask me about. They say that it changed the way they thought about and performed computer security. I believe I achieved my goal of authentic expression by aligning my energy with my work, and I channeled both into my writing. My book has helped me find rewarding jobs and communicate my philosophy to colleagues, students, and policy makers worldwide. Today I am done with writing security books, and my interests largely lie elsewhere. However, after a 15 year break due to health and family issues, I've resumed my martial arts training. Thank you for sharing Bruce Lee's philosophy on a regular basis. As I work to transition into a new life phase, I find his words and your thoughts enlightening and inspiring.